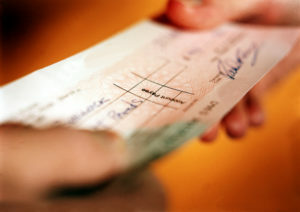 Let’s be frank: paper checks present a challenge to anyone in the accounts payable space. But let’s be equally realistic: checks continue to make up about half of the supplier payments volume. B2B payments disruptors now have a choice when designing and deploying technology: Will they use that tech to make paper checks less friction-filled, or entice businesses away from the paper check altogether? Paymerang CEO Nasser Chanda falls in the former category. “We’re not a company trying to move in any particular direction that is unkind to vendors,” he recently told PYMNTS in a chat following last week’s announcement that the vendor payments company raised $26 million in funding. While technologies supporting and indeed promoting digital payment solutions seem to be coming out daily, the notion that check fraud is a looming threat — making these solutions absolutely crucial immediately — is misguided. It turns out that 70 percent of companies surveyed by IBM Security said they have also been targeted by a phishing attack, which often involves an ACH or wire transaction. Card payments, meanwhile, are also subject to fraud as payers often email or phone in card details. That’s not to mention the fact that checks are refusing to disappear at the rate predicted by pundits!